Ross O’Sullivan is hoping Baie Des Iles can get her confidence back ahead of bigger engagements in the spring when she lines up for the BBA Ireland Limited Opera Hat Mares Chase at Naas on Saturday. 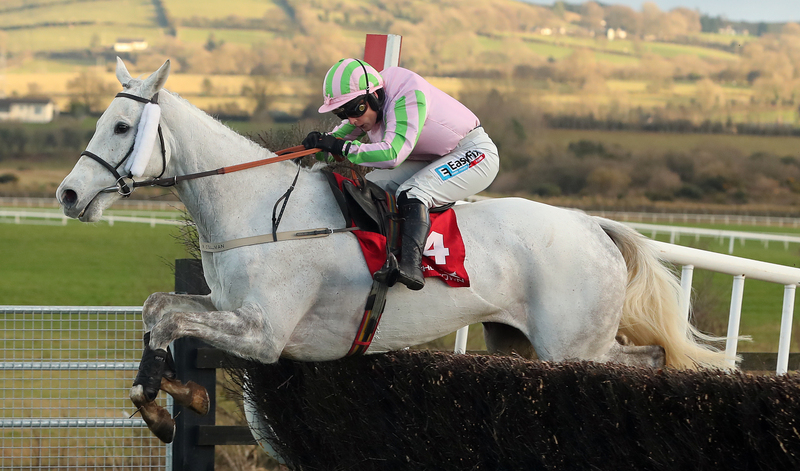 The grey was last seen being pulled up in the Welsh Grand National, but faces just six rivals on her retrieval mission. The distance of only two miles may not be preferable, but O’Sullivan just wants the eight-year-old – who is being aimed at the Randox Health Grand National for the second year running – to get back in the groove. “She’s in good nick. We also had her in the National Trial in Punchestown at the weekend, but we’re going to go for the two-mile race,” said O’Sullivan. “The reason we’re going for that is it’s a small field. We just want to get her confidence back. She got hustled and bumped around and didn’t jump as well in the Welsh Grand National this year. She didn’t get into a rhythm at all. “We just think a small field and a mares’ chase will get her confidence back and help her jumping, get her back into the swing of things. With Walsh taking the ride on Baie Des Iles for his brother-in-law, Paul Townend retains the ride on Pravalaguna for the Willie Mullins stable. Pravalaguna won with Townend in the saddle at Limerick’s Christmas meeting and Mullins’ son and assistant, Patrick, put the seven-year-old through her paces on Friday. “I schooled her this morning and she seems in good form,” he said. “She’s obviously taking on more experienced mares, and that’s the concern, but she’s getting weight because of that. Gordon Elliott throws two darts with Synopsis and Mrs Lovett. “I was delighted with Synopsis when she won at Cheltenham a couple of months ago as she looked to have come right back to her best that day and her effort there suggested she could be competitive in some mares’ black-type races,” the County Meath trainer told Betfair. He went on: “Mrs Lovett was progressing nicely over fences earlier in the season and when she won a useful mares’ handicap chase at Fairyhouse a couple of months ago I thought she might be another to get black type over fences. “She just wasn’t herself when she ran poorly at Warwick last time and I’m going to draw a line through that run as she didn’t run to anything like her best. Philip Dempsey feels the drop back in trip is not perfect for Teacher’s Pet, but it is worth a go for the prize money and prestige. She failed by only a neck to peg back Double Portrait over two miles five and a half furlongs at Thurles last month. “She’s in good form. She’s dropping back in trip, which isn’t ideal, but it’s a black-type race so we’ll let her take her chance. It’s a small field,” said the County Kildare handler.